Did you know that the department store concept was created in Paris? It was in the mid-1800s that Paris shopping moved from covered passages to les grands magasins. These big stores set up shop on wide boulevards with plenty of lighting. It was in 1893 that two cousins from Alsace opened what is now known as Galeries Lafayette Paris Haussmann, which is one of the most famous department stores in the world. Like a massive jewel box, the Art Nouveau architecture and Neo-Byzantine stained glass dome are draws just as much as the merchandise inside. Said to be the second-most visited site in Paris behind the Eiffel Tower, there are many things to do at Galeries Lafayette other than shopping. 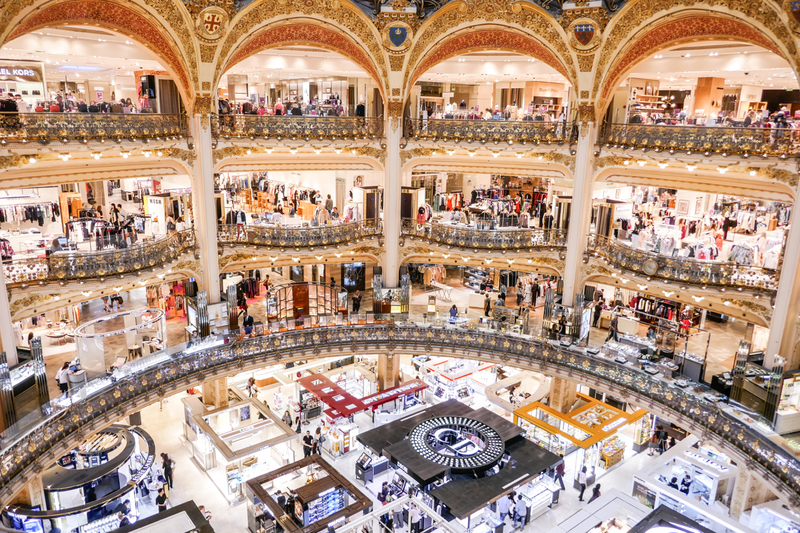 Whether you’re an architecture lover, history buff, or just curious about the legend that is Galeries Lafayette, this is the one tour you won’t want to miss. From construction secrets to the hidden messages to the Louis Majorelle-designed staircase banister inspired by Palais Garnier, on this hour-long tour, you’ll get a behind-the-scenes look at this 125-year old family business. Tours operate ever Saturday and Sunday, costing €13.50 per adult and €9.00 per child. Go here for more information and bookings. One can’t rightly visit Paris and not have at least one wine and cheese tasting. Located on the third floor of Galeries Lafayette is an all-new space known as L’Appartement. It is here that you’ll dive into the deliciously complicated world of French wine and cheese. 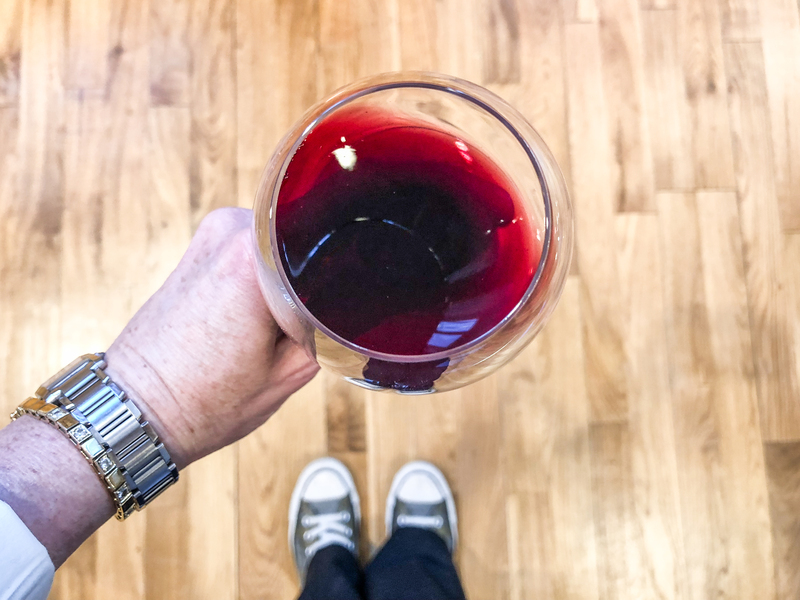 Whether you’re a novice wanting an introduction or are well versed in the virtues of French vin and fromage, this 1.5 hour class will quench your thirst. A brief introduction of French wine is followed by a tasting of four wines—two whites and two reds. Naturally, each wine is perfectly paired with a cheese, alongside a basket of bread. 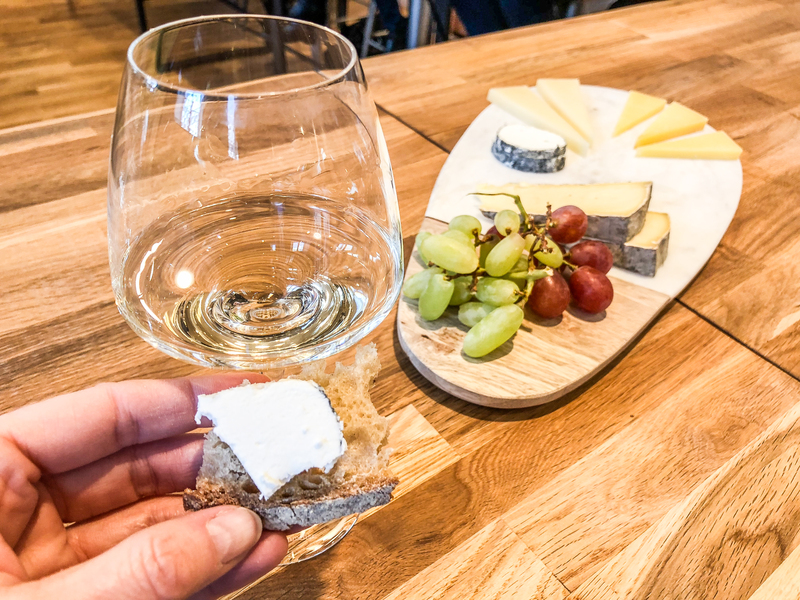 Weather a crisp Sauvignon Blanc from the Central Loire Valley, paired with a goat cheese or a bold Côtes du Rhône, paired with a Tomme de Brebis, you’re sure to discover something new. And as an added bonus, all of the wines and cheeses are available at Galeries Lafayette Gourmet. Tastings occur every Monday and Wednesday from 12:30-2:00 pm, as well as Fridays from 6:00-7:30 pm. Cost is €55 and open to those 18-years old and older. Find more information about the tastings here. Galeries Lafayette is giving my readers a 10% discount on this tasting. Enter the code WINENOT upon checkout. The offer is limited…for how long, I don’t know. Just plug it in and see! If you have more of a sweet tooth, then the macaron baking class will be more your taste. Supposedly, the macaron was brought to France from Italy by Catherine de’Medici in the 1500s. Though, at that time it didn’t look like the pastel mini-hamburgers that we know today. That transformation is credited to Ladurée. Instead of forking over a couple of euros a pop for a ready-made macaron, you can try your hand at making them yourself. Every Tuesday and Wednesday from 3:00-4:30 pm, ganache is being whipped up in the Galeries Lafayette L’Appartement. For €49, you’ll learn the macaron-making techniques and take them home to your kitchen. Hop over here for more details on the class. Paris is arguably the fashion capital of the world, and there’s no better place to see it than under the Galeries Lafayette stained glass cupola. With so many racks to browse through, finding that ‘right’ look can feel a little overwhelming. For some style inspiration, step into one of Galeries Lafayette’s fashion shows. Located on the 4th floor in the Opera room, male and female models strut their stuff wearing the season’s latest trends. The 30-minute shows are held every Friday at 3:00 pm. Tickets are €12 per adult and €9 for children under 12. Find out more here. Of course, being beautiful on the inside is the most important, but surely feeling beautiful on the outside feels good, too. 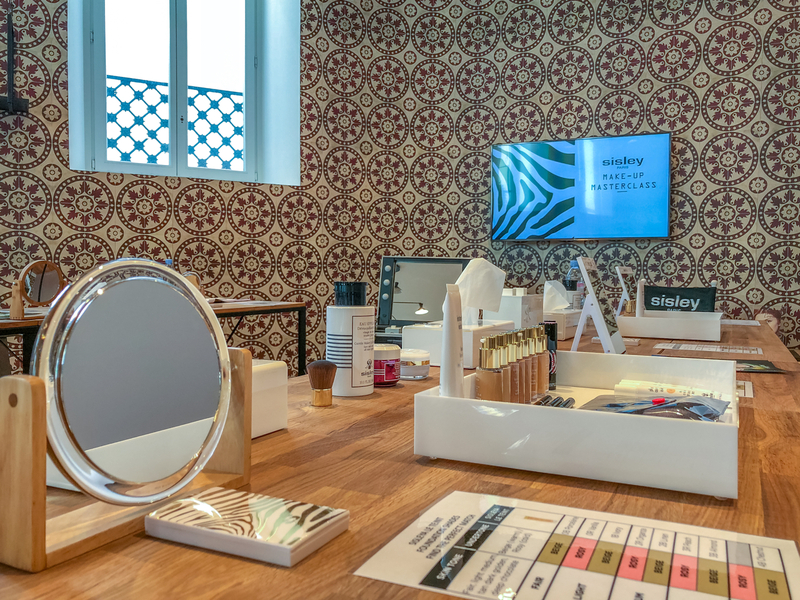 At the Galeries Lafayette beauty masterclass, you’ll kick start your beauty routine with the help of experts. From learning how to properly prep your skin to makeup application techniques, this workshop is perfect for breaking out of your beauty rut. Each month, the masterclasses will be presented by a different French luxury beauty brand. For the month of March, it’s Sisley. Enroll in Galeries Lafayette’s beauty masterclass every Tuesday from 10:30 am-12:00 pm. Cost is €30 per person and open to those aged 16+. Read more here. There are plenty of things to do at Galeries Lafayette other than shopping, but let’s be real, that’s the big draw. Well, the shopping and the stunning stained-glass cupola. I mean, if there’s a more beautiful department store in the world then I’ve never seen it. Of course you get to eat and take what you make! The architecture of Galeries Lafayette is legendary! 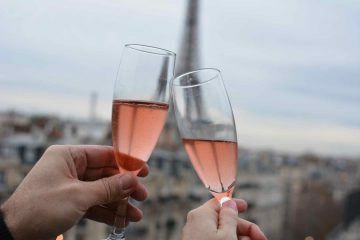 You must put it on your to-do list when you return to Paris. Wow, I can’t believe I didn’t visit Galeries Lafayette when I was in Paris. What an amazing mall. I think I’d spend most of my time looking at the ceiling and beautiful architecture but who could say no to macarons. What a shame! It’s a must-do when you come back to Paris. If it’s around Christmas then even better. OMG I want to do all of them. The macaroon making classes must be amazing. Never knew of beauty masterclasses in Paris. And the ceiling pic is amazing! The stained glass cupola is marvelous! It also changes colors, so you’ll have to come several times and/or stick around to see it change. 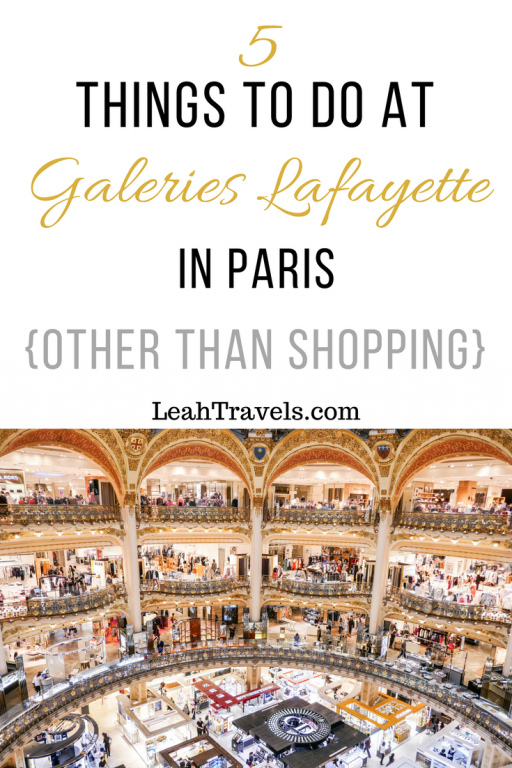 I had no idea that you could do so many things in Galleries Lafayette. I thought you could only shop there! 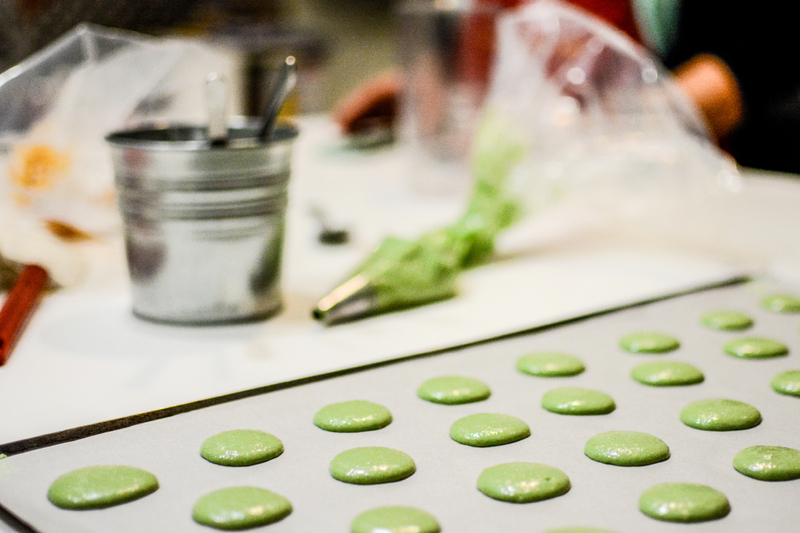 A macaroon making class sounds pretty awesome, as does cheese and wine tasting. I would love to attend a fashion show as well, although I am not a fan of taking any beauty classes so that I’ll probably skip. Also, a Galleries history tour to learn about its secrets and hidden facts would be fun, I am sure! Indeed, I think the history tour is my favorite. But I’m a total history geek! Galeries Lafayette is definitely THE department store I want to visit when in Paris next – I’ve never been a big shopper, but I love the history and the beautiful interior design / architecture of the building. And it helps that there are so many cool things to do besides shopping – I would definitely be up for learning to make macarons! Yeah, even non-shoppers will have plenty to do at Galeries Lafayette. There’s even an art gallery within the store. Taking in the view from the roof of Galeries Lafayette is also a great idea! I love the ornate architecture there, and all your activities are excellent choices. Wine and cheese is one of the reasons I love France – the combinations can be just magical. I love the idea of doing a beauty master class too – I imagine learning the core beauty tips in such a decadent place would be fabulous! Yes! When you find that perfect wine and cheese pairing it just is like fireworks! It never gets old. I have probably been to the store at least 50 times over the years and I never knew that you could do a tour. I am making a note of that for the next time I am there! It is something that I will definitely do. It is even more amazing at Christmas when the decorations are completely over the top. Have you been onto the roof? It’s one of the best views of Paris. Sure, I go to Galeries Lafayette a couple times per month. If it’s nice outside, I always go to the roof. I love being that close to the Opera. I always see something new on the rooftop. I have been to Galeries Lafayette twice. Both times we knew what we were looking for to shop and got after that. It was so crowded. I never knew there other things beyond shopping! Yes, it surely can get crowded, especially at Christmas. The upper floors are better when it comes to crowds. Check that out next time. Wow, I had no idea you could do all of these things in a department store! When I went I admit I just did some shopping!! However, now I know you can have a cheese and wine tasting, and learn to cook macarons I will definitely do that next time! The shopping is hard to resist, but there’s so much more. There’s even an art gallery in the store. Didn’t know about all these things to do there, but you can go up to the roof as well for a nice view over Paris! Yes! The rooftop is legendary and a place I probably visit once per month. The weather hasn’t been cooperating lately, however. It was fascinating reading about the Galeries Lafayette. Was not aware that the departmental store concept which has now transformed into the glitzy malls of today originated in Paris. The architecture of Galeries Lafayette looks so stunning. Also, it is intriguing to know that there are so many things other than shopping to be done at Galeries Lafayette. We would love to go there just to enjoy the art and architecture. Indeed, the concept started in Paris with Le Bon Marche being the first. Galeries Lafayette is definitely a great destination in Paris. I have put this amazing place on my priority list! I’ll be 80 years old when I visit and when I was in my 20’s San Francisco’s, California had a fabulous department store called The City of Paris! It also had a wonderful dome and floors designed around a rotunda just like the Galleries. It was so elegant and I remember long slim drawers with beautiful gloves and scarves in them. At Christmas they would have an emmense Christmas tree in the center that would revolve and you could go to the different floors and gaze at all the decorations on it.. alas, it is no longer! So I shall not miss this wonderful Galleries when I visit Paris! This shopping mall is worth visiting just to admire its beauty rather than anything! So beautiful. I visited a similar mall in Buenos Aires but this is definitively a place to dedicate a good couple of hours to explore and enjoy . They don’t build malls like that anymore 😉 Looks like a painting. I’ll be sure to visit it when I go to Paris!